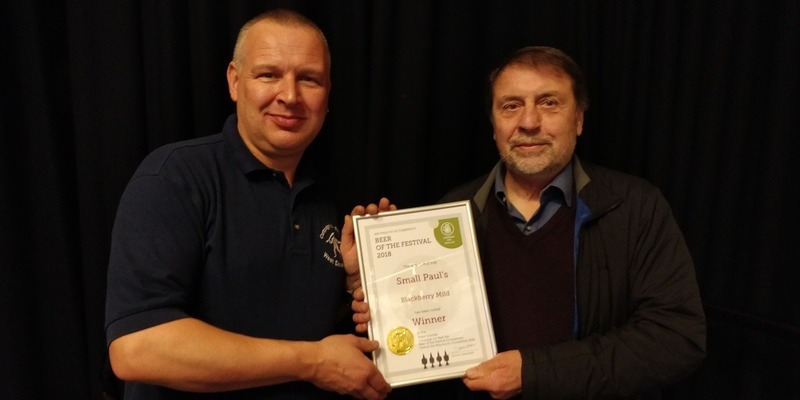 Paul Smith, from Small Paul’s Brewery, accepting the award for Beer of the Festival at Weymouth Octoberfest 2018. 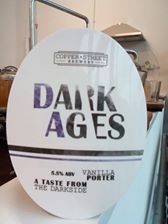 The winning beer, Blackberry Mild, is also available at this weekend’s Dorchester Beerex! 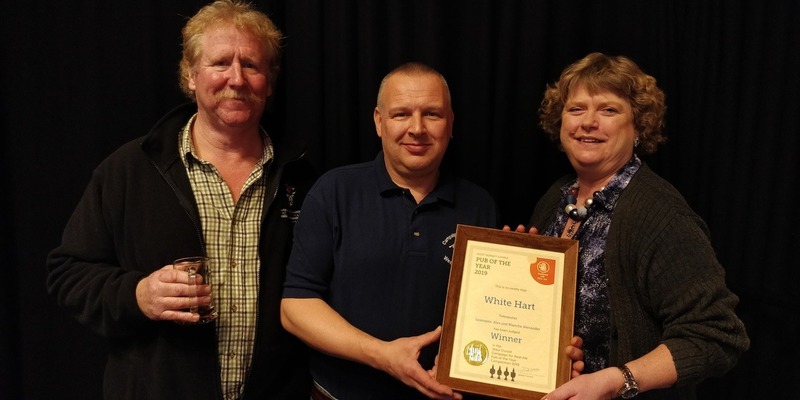 West Dorset CAMRA’s deserving winners of Pub of the Year 2019 - Alex and Blanche from the White Hart, Yetminster, pictured here with Press Officer, Rich Gabe. We’re doing it all over again tomorrow, when it will be much busier and we have live music from Shooter in the evening. 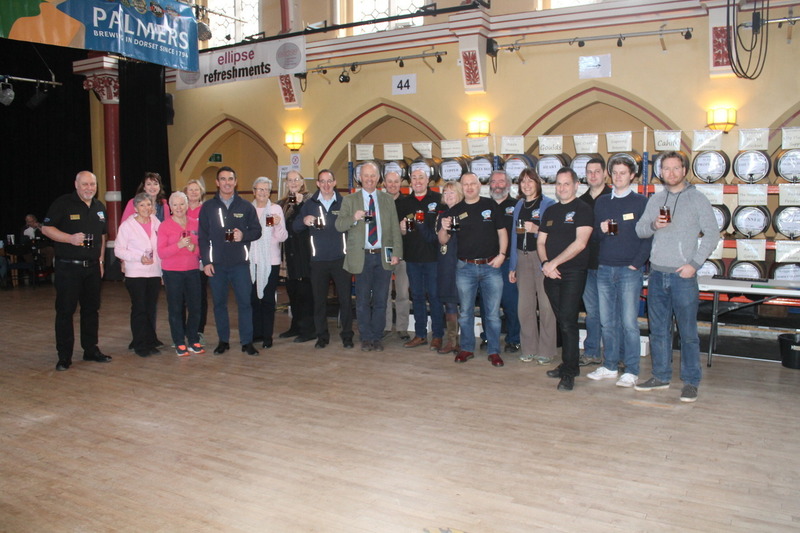 Dorchester Beerex 2019 was opened by the Major, David Taylor, here with Beerex committee members, staff from main sponsor Palmers Brewery and our main charity Fortuneswell Cancer Trust. It’s still not too late to buy tickets for the two Friday sessions, and there a few tickets left for the ever-popular Saturday lunchtime session. The Saturday evening session has now sold out. Dorchester Beerex Promotions on Facebook and Twitter! 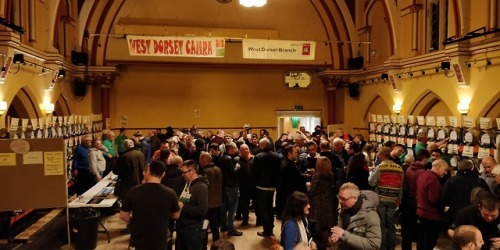 Win Free entry for two people to a Dorchester Beerex 2019 session of your choosing; Two souvenir glasses, Six halves of beer per person; Two Dorchester Beerex 2018 limited edition shirts – an extra large polo shirt and a large t-shirt, both in black with the Beerex 2018 logo on the front and Palmers logo on one sleeve. Please see our Facebook Page and Twitter for details of how to enter. The Promotion is open to over 18’s only. There are two set of prizes available – one for the Facebook Promotion and one for the Twitter promotion. The winners will be picked at random from all the correct entries after the Promotion closing dates (midday on Sunday 27 January) and notified with 24 hours. Clothing only available in the sizes listed. The Promotor is Dorchester Beerex and it isn’t sponsored, endorsed or administered by, or associated with Facebook in any way. A date for your diary - Dorchester Beerex 2019 takes place on 1st and 2nd February! 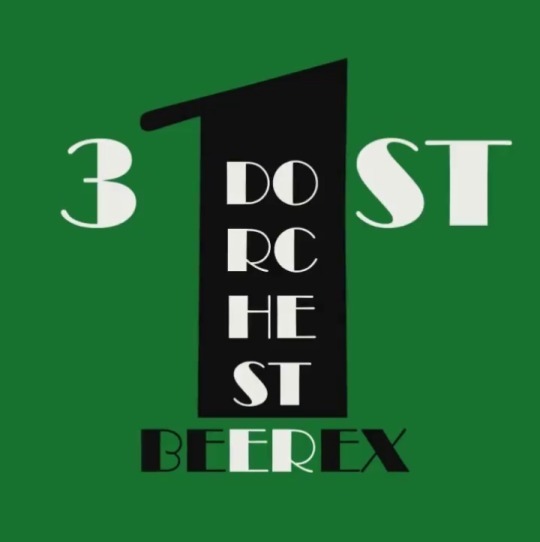 Congratulation to Eight Arch Brewing - Corbel has been voted Beer of the Festival at Dorchester Beerex 2018. Second was Haresfoot Banoffee Stout and third was The Brew Shack’s 8 Grain Porter. 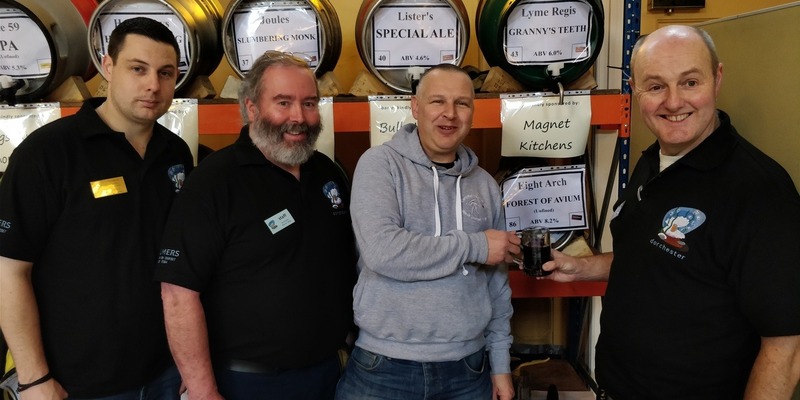 As a treat at our Saturday lunchtime session only, Eight Arch Brewing have kindly supplied us with their Forest of Avium 8.2% cherry imperial stout in a 4.5 gallon pin. 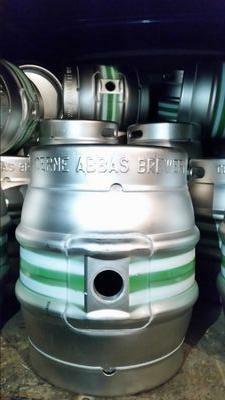 It normally comes in bottles, cans or kegs so to have the only real ale version at our 30th is very special! 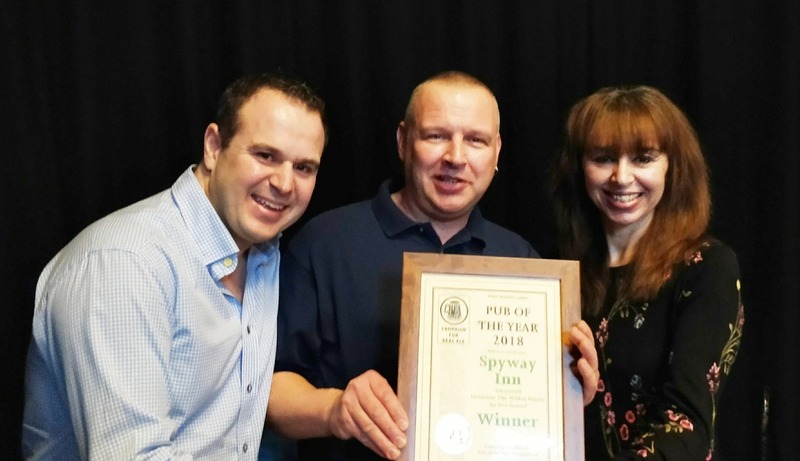 The Spyway Inn, Askerswell, is the winner of West Dorset CAMRA’s Pub of the Year 2018. Well done to the Wilkes family! Tim and Viv are pictured here accepting the award from Rich Gabe at the Saturday lunchtime session at Dorchester Beerex. 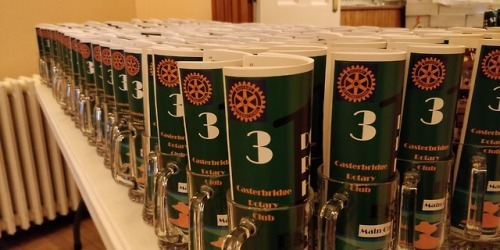 We’re expecting over 1400 people through the door across the two days. Each person gets a souvenir glass (a half pint tankard with the Beerex/Palmers logos printed on it), a programme and tokens worth three free halves of beer. 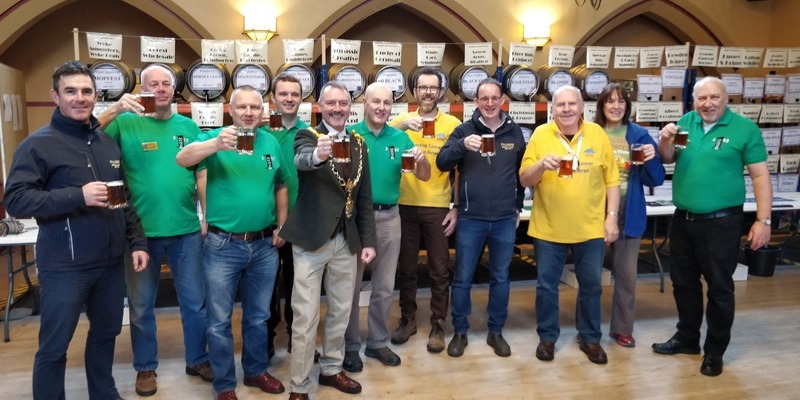 Dorchester Beerex 2018 was opened this morning by the Mayor of Dorchester, Councillor Susie Hosford, pictured here with representatives from our main sponsor, Palmers Brewery, and this year’s charity, the Dorchester Social Stroke Club. Also pictured are members of the Beerex committee and Dorchester Ellipse! 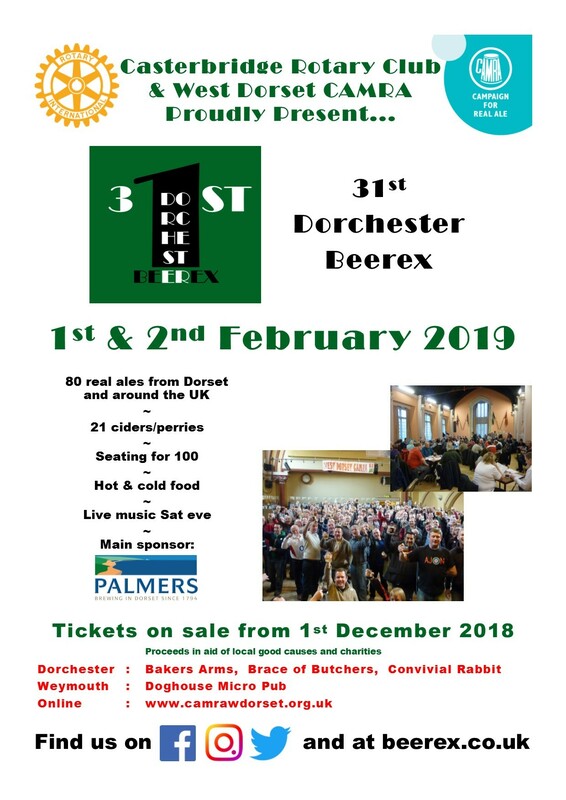 It’s not too late to get tickets to the 30th Dorchester Beerex. Although the Saturday sessions have sold out, there are still tickets available for the Friday sessions. Why not come along on Friday evening? 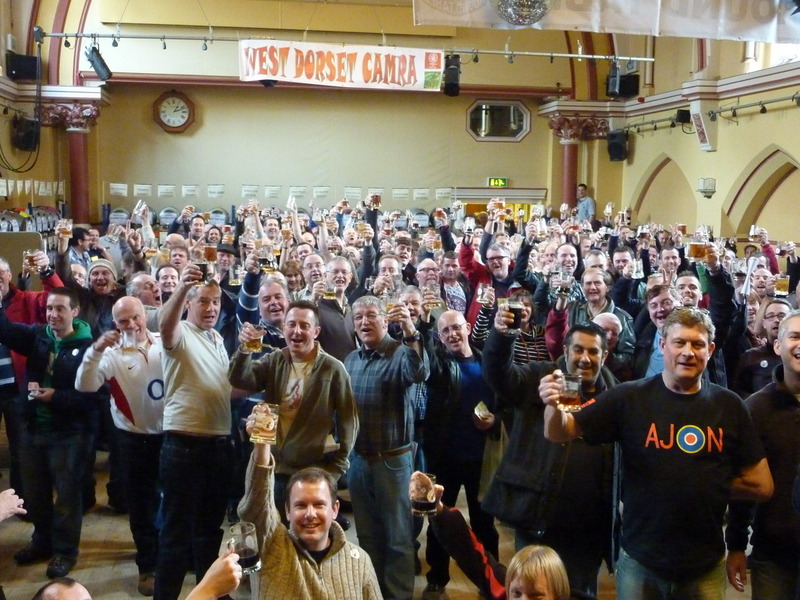 All 85 real ales and 15 ciders/perries will be available and there’s plenty of seating upstairs in the Town Hall. The ticket outlets all have their own stock, so if you’re after tickets for a particular session and your chosen outlet doesn’t have any, please try the other outlets. Unfortunately, our Saturday evening session has now sold out. For those of you lucky enough to have a ticket, the live band will be Black Water County. Please join us as we will be celebrating our 30th birthday! Like last year, the Town Hall (the upstairs room in the Corn Exchange) will be available with lots of seating. Although tickets are going on sale earlier than normal, there are more available than previous years. 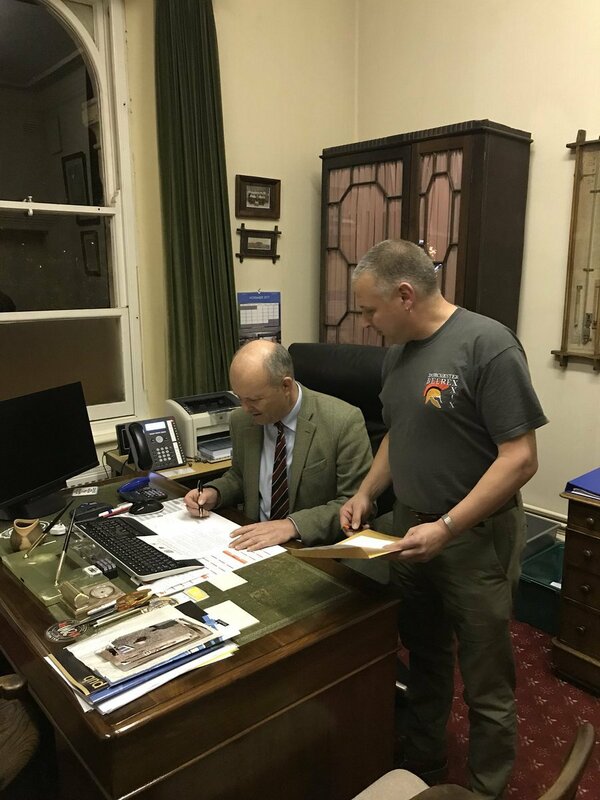 Over the years, over £150,000 has been raised for local good causes and the main benefactor of next year’s event will be the Dorchester Social Stroke Club which gives vital support in the Dorchester and surrounding area to stroke victims and aids their recovery. 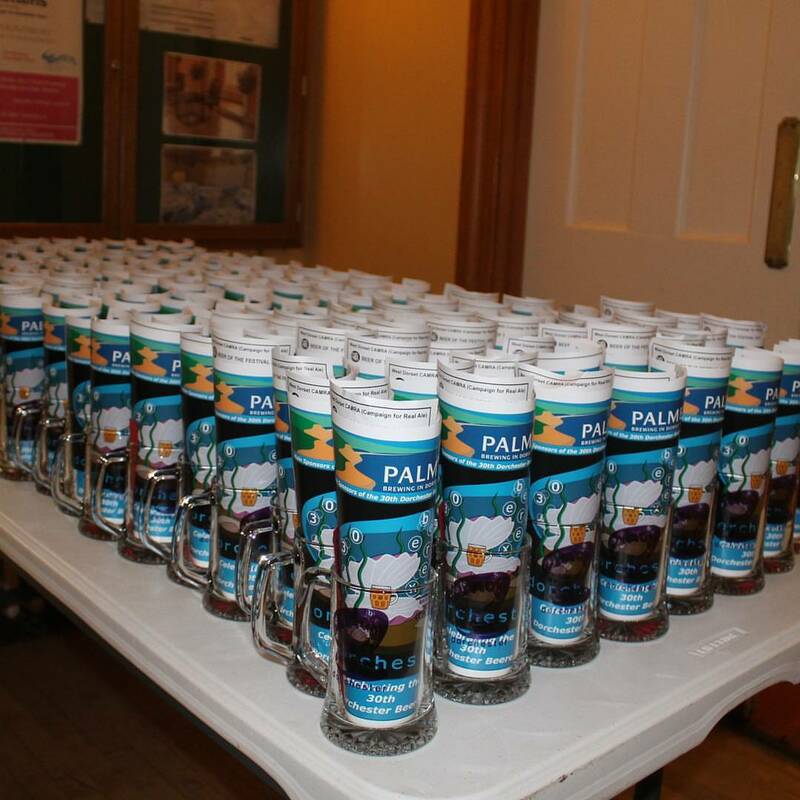 We’re pleased to announce that Dorchester Beerex 2018 will be sponsored by Palmers Brewery again. 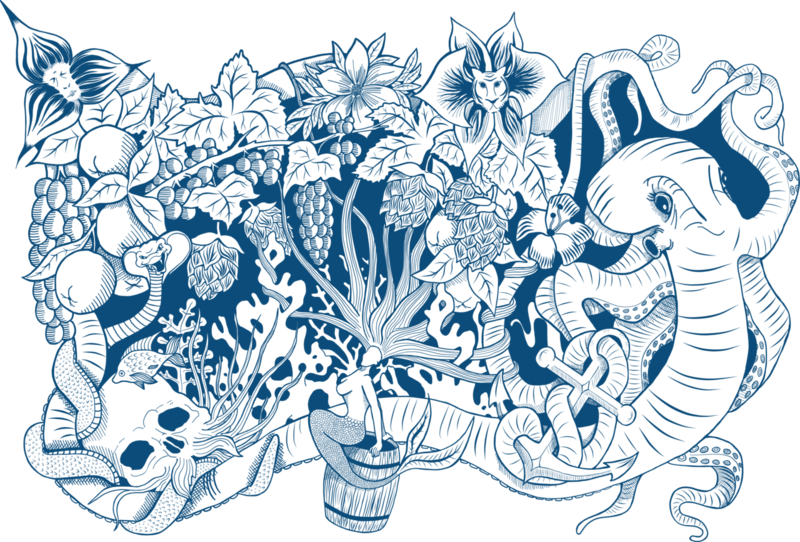 We’re pleased to announce that Beer of the Festival at Dorchester Beerex 2017 is Gurt Coconuts Rum Stout from Cerne Abbas Brewery. In second place was Brad’s Coffee Stout from Gyle 59 and third was Affinity from Shiny Brewery. Congratulations to Rod & Janette Lamont and Richard Hadley from the Saxon Arms in Stratton on winning West Dorset CAMRA Pub of the Year 2017. 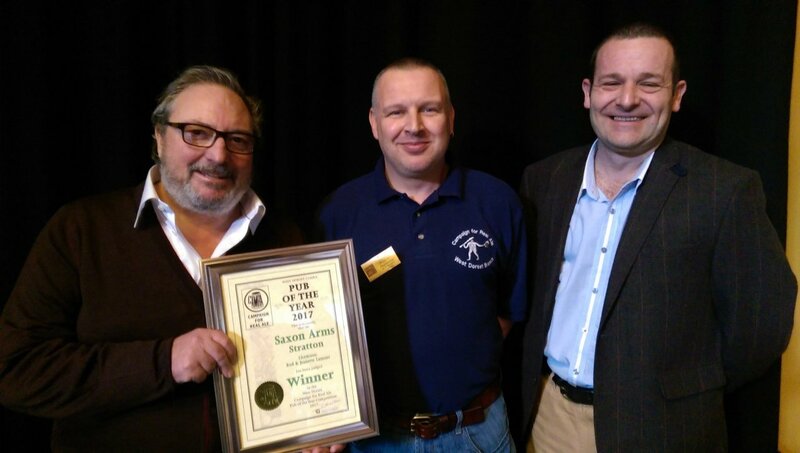 Rod and Richard are pictured here receiving the certificate from Rich Gabe at Dorchester Beerex.